Dooars or Duars is one of the very few places left in the country where nature is so lavish of her green facilities. The unending stretch of virgin forests is cress-crossed by the river Teesta her innumerable tributaries ie. Torsa, Jaldhaka, Dyna,Raydak and many other rivers are also floated through forests of Dooars , Looking like molten silver against their setting Sun, beautiful motorable roods cut through the deep forests, lush green numerous tea gardens - rich with wildlife , mauve hills stand at the end of graceful plains. The melody of the grooves forces you to surrender the sophistries you so carefully cultivated in the City. After a day’s journey through the splendid scenic beauty, a happy twilight will bid you retire in the cozy comfort of luxurious Lodges or Village Hut’s, and leave for you a million dreams of the glorious morrow. Dooars means door in Bengali, Asamese, Nepali, Bhojpuri languages. Dooars / Duars forms the gateway to Bhutan from India. Dooars a mystic valley where nature showers its innumerable blessings stretching from river Teesta on the west to river Sankosh on the east, 130 km long and 48 km wide with towering presence of the great Himalaya. The entire area was the trade root with Bhutan. The each corridor was known as door, so, the land of doors become Dooars.The altitude of Dooars area ranges from 90 mts to 1750 mts. Dooars is well connected by Road as well as rail also. Dooars Tour is easily accessible from Kolkata. There are number of trains from Kolkata which touch Dooars or nearby. 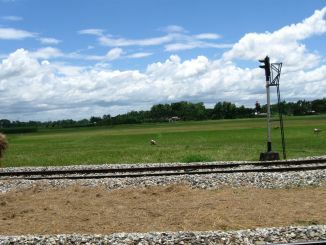 The main railway station to reach in Dooars is New Jalpaiguri Railways Station. NJP or New Jalpaiguri Railways Station is connected by rail with almost all the major cities or regions in India. New Jalpaiguri Railways Station is in Siliguri, which is the gateway to North East India, Nepal & Bhutan. Numerous trains and luxury coaches ply in between Kolkata & Siliguri or New Jalpaiguri Railways Station. Bagdogra Airport is also a gateway to Dooars. From Siliguri Eastern Dooars is just 25 kms away and the main attraction of eastern Dooars – Garumara National Park is just 80 kms or two hrs smooth drive. Malbazar also an important Railway Station in Dooars. Tourists can also go to Malbazar for Dooars tour. But the number of trains are very limited in Malbazar. Apart from Siliguri or Malbazar tourists can also enter in Dooars from Alipurduar, Coochbehar etc. 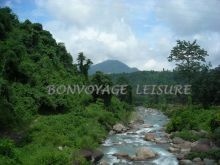 Dooars or Duars is dotted with number of forests and National Parks along with number of beautiful tourist destinations. The entire Dooars is segregated into three parts, ie. Eastern Dooars, Central Dooars and Western Dooars. The most popular tourist destination in Eastern Dooars is Buxa Tiger Reserve. Buxa Tiger Reserve is famous for its numerous species of birds, mammals, snakes and amphibians. Once famous for dolomite mining Buxa was declared Tiger Reserve in 1983 and became National Park in 1992. Buxa Tiger Reserve is the largest forest in North Bengal and the second highest Tiger population in West Bengal after Sundarban. Based on the Buxa Tiger Reserve tourists can visit Buxa Fort, Santarabari, Jayanti, Rajabhatkhawa, Raimatang, Lepchakha, Rovers Point, Rupam Valley, Narathali Lake etc. Coochbehar, the former capital of Coach Kingdom also a major tourist destination can be visited from Buxa Tiger Reserve. Central Dooars is famous for Jaldapara National Park. The major attraction in Jaldapara National Park is one horned Rhino and Elephant riding. Apart from Rhino, there are variety of animals like Bison, Leopard, elephant and the rarest variety of animals and birds including Peococks. Tourist can visit Chilapata Forest and Khoerbari Leopard Rescue Centre. Phuentsholling – the main entrance to Bhutan from India as very near from Jaldapara National Park. Gorumara National Park is the most desired destination in Western Dooars. It receives the maximum number of visitors in Duars. Located on the flood plain of Murti river and Raidak river Gorumara National Park has riverine grassland and rolling forests. Gorumara forest was declared National Park in 1994. This forest is enriched with one horned Rhino, Gaur, Elephant, Chital, Samber deer etc. Number of beautiful destinations like Jhalung, Bindu, Chalsa, Samsing, Suntaleykhola can be visited from Gorumara National Park.